Land is key to the operations of coloniality, but the power of the land is also the key anticolonial force that grounds Indigenous liberation. This work is an attempt to articulate the nature of land as a material, conceptual, and ontological foundation for Indigenous ways of knowing, being, and valuing. 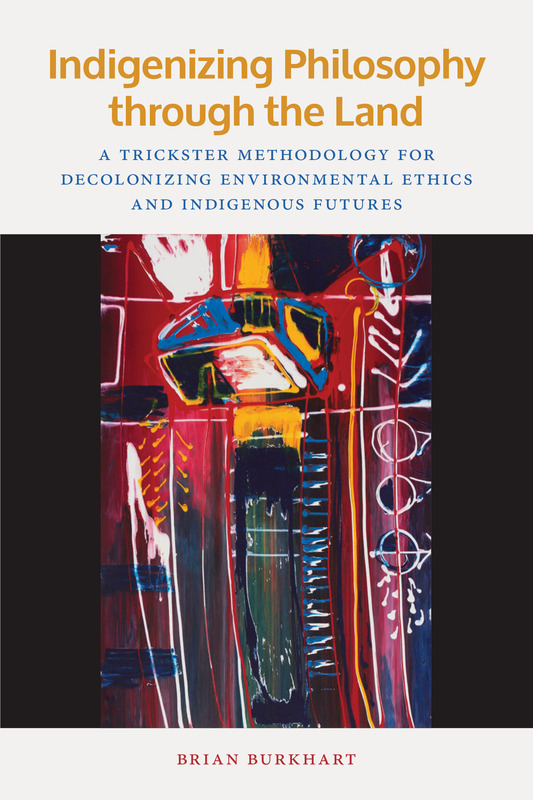 As a foundation of valuing, land forms the framework for a conceptualization of Indigenous environmental ethics as an anticolonial force for sovereign Indigenous futures. This text is an important contribution in the efforts to Indigenize Western philosophy, particularly in the context of settler colonialism in the United States. It breaks significant ground in articulating Indigenous ways of knowing and valuing to Western philosophy—not as artifact that Western philosophy can incorporate into its canon, but rather as a force of anticolonial Indigenous liberation. Ultimately, Indigenizing Philosophy through the Land shines light on a possible road for epistemically, ontologically, and morally sovereign Indigenous futures. Brian Burkhart is an Associate Professor of philosophy at the University of Oklahoma where he mentors PhD students studying Native American and Indigenous philosophy. He was an Associate Professor and Director of American Indian studies at California State University, Northridge, from 2010 to 2018. He is a citizen of the Cherokee Nation of Oklahoma but was born and raised in the Navajo Nation of Arizona. Burkhart was one of the early members of the American Philosophical Association's Native American and Indigenous Philosophy committee and was chair of that committee from 2011 to 2015. He is a Southern powwow singer and Cherokee hymn singer.